The Secretariat of the United Nations presents its compliments to the Permanent Missions to the United Nations and has the honour to request the nomination of candidates for the position of representative of the Secretary-General for the investment of the assets of the United Nations Joint Staff Pension Fund, at the level of Assistant Secretary-General. Exercise discretionary authority over the investment of the assets of the Fund and will be responsible for the overall investment policy and for oversight and management of the investments of the Fund. Lead the investment operations in terms of strategy and policy analysis, asset allocation, portfolio management and investment decision-making; risk management and compliance and monitoring; and back office accounting, trade settlement, cash management and systems and information technology requirements. Supervise the Director of Investment Division to ensure that all the operations and functions of the Investment Management Division are properly coordinated and coherent, are aligned to safeguard the fiduciary responsibilities, support the goals of the office and enhance the long-term sustainability of the Fund. The representative of the Secretary-General will work closely with the Chief Executive Officer of the Pension Fund. Responsible for the investment policy, the strategic and tactical asset allocation and the appropriate investment strategy in consultation with the Investments Committee and in the light of observations and suggestions made from time to time by the Pension Board on investments policy. The representative will oversee the implementation of investment decisions and ensure that the approved investment policy and asset allocation are followed. 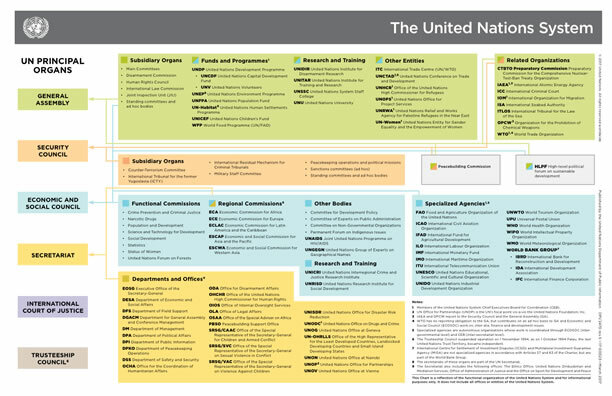 The representative is responsible for carrying out the responsibilities of the Secretary-General under article 19 (b) of the regulations of UNJSPF including to ensure detailed accounts of all investments and other transactions relating to the Fund are maintained and for reporting to the Pension Board, the Advisory Committee on Administrative and Budgetary Questions and the General Assembly on the Fund’s investments. In order to ensure a wide pool of candidates for this position, the Secretariat would welcome any nominations to supplement the Secretary-General’s own search and consultations. The nomination of women candidates is strongly encouraged. Over 20 years of proven progressively responsible experience in the management of economic, social security and/or financial policies and activities for governmental or intergovernmental organizations or for substantial private concerns, including, proven track record of extensive relevant experience in the management of investment of complex portfolios of assets of various classes, such as pension funds, including their risk management, and in financial markets. Reporting to and coordinating with governing organs (e.g. legislative bodies, boards and committees) on investment, financial and/or technical matters. In accordance with the policy for the nomination of candidates, the Secretariat wishes to outline that it is the responsibility of the nominating Government to ensure that each candidate it nominates has not been convicted of, or is not currently under investigation or being prosecuted for, any criminal offence, or any violation of international human rights law or international humanitarian law. In the case of nominees who have been investigated for, charged with or prosecuted for any criminal offence but were not convicted, the nominating Government is requested to provide information regarding the investigation(s) or prosecutions concerned. The nominating Government is also requested to certify that it is not aware of any allegations against its nominated candidates that they have been involved, by act or omission, in the commission of any acts that amount to violations of international human rights law or international humanitarian law. All nominations should include a cover letter and the curriculum vitae of the candidate and must be sent to the Secretariat of the United Nations by Monday 28 August 2017. The Secretariat of the United Nations avails itself of this opportunity to renew to the Permanent Missions of Member States to the United Nations the assurances of its highest consideration.